I am done translating Guadalupe: A River of Light into Spanish. It was a good exercise. I allowed me to read what was written only a few months ago and meditate on it with a fresh mind. Now my efforts turn again to writing a new book which continues what I started with that first title. Although it is a longer book, I may have it finished in a shorter time. While I was busy with my rather unprofitable projects, the world kept going. Today, Democrats and Republicans are trying the patience of the ever suffering Americans with another round of mutual self-righteous indignation. Apparently — as far as I can understand from here — the brainiacs on the Democratic side seem to believe they can hold the country hostage to keep the so-called “Dreamers” from being deported. If the Dreamers are sent to their country of origin, they will take with them the dreams of Democrats of someone voting for them. Holding one’s countryman hostage to liberate an invader seems a bit of a crazy stunt but who am I to judge? The world is upside down already. While I was away someone put on a rather strange display on St Peter’s Square, a combination of the manger at Bethlehem with the corporal works of mercy. Some objected to the very rip young man in the buff representing the need to clothe the naked. Now I see why not too many support my ministry … my washboard abs are long gone! But even if they were back (unlikely) I would not dare to go that far to increase donations. May be I can get one of those Batman outfits. We shall see! Now I see the folks at Accenture PLC are redesigning the Vatican website. I remember Accenture as the old Arthur Andersen where I used to work from time to time when I was living in the Bean City. That must be a nice, profitable gig for those guys. They are not the kind to work for peanuts. This article published by Church Militant discloses: “The overhaul behind Vatican media is being led by a company heavily into LGBT activism, and the Vatican official in charge of the redesign [has] strong links to the LGBT community […]” Who would have thought? Those unsavory news follow a report from last week about some abortion hero being given a medal by the Vatican, as the Lepanto Institute reported recently. What’s going on? I do not have an answer but I can offer an educated guess: someone in Rome is playing with fire. We were told long ago that this was coming. The long crescendo of abominations is reaching a new peak. One is tempted to leave but I think we should not abandon the Church at this time. We should bear the shame in the same manner that Christ did. God will clean the place eventually. A surprising low number of people gathered to see the Pope in Iquique (pronounced eek-eek-eh) during the Pontiff’s recent visit. The local news paper El Comercio reported: “Pope Francis officiated his third Mass in Playa Lobito, near North Iquique. Although the organizers expected the attendance of some 300,000 people, it is estimated that only 90, 000 listened to the mass at Lobito Beach. See the AP photo below. Something tells me we are going to see stronger signs of decay as the wrecking crew passes through holy ground destroying everything in sight. This not new. This is the culmination of a long process that started decades ago. Jesus appears to be sleeping (but he is not) — Time to pray loud and clear to wake Him up. I am working on a new book. This one is about the Papacy. I hope I can finish it before everything blows up. Your help is needed. 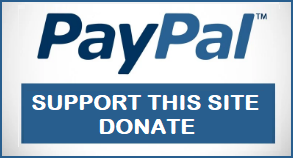 I can affirm without a shadow of a doubt that your donations will not be used to build strange mangers inhabited by rip naked guys. Thanks for your observations on current events within the Church, Carlos. I’ve decided that withdrawing from the Internet is the only logical course of action if I want to preserve my remaining sanity. I realized that the human brain & soul are not meant to take in the amount of information that is forced into it each time I get on the internet. I’m hoping that by only reading email & responding to Facebook messages, I can get away from the computer altogether. It’s time to get the focus completely on doing God’s Will &, for me, that means more solitude. You’re amazing, Carlos! God bless you! The optimist in me hopes that the poor attendances at the Masses of Pope Francis may be a personal reflection upon him, rather than upon Christ’s True Church. Have you any inside information regarding the Pope’s truly extraordinary ‘calumny’ judgement? Perhaps the Chilean lukewarmness is a consequence of the present Vatican regime’s dismantlement of the excellent child-protection policies imposed by Francis’ predecessor? This fact, combined with the intrusion of the age-of-consent-reducing LGBT lobby that you describe, is disturbing in the extreme. May the Lord God have Mercy on us all. The nets are coming up empty and that was to be expected both prophetically and also by recent experience, Mickvet. Only the Traditional attracts crowds. People all over the world are hungry for the ancient mysteries. In the USA the March for Life congregated millions in Washington DC but the March for Women was quite sparse in comparison. The adventures of the innovators are coming to an end but they haven’t noticed yet. May be best that the nets are empty-we wouldn’t want to encourage them. As for those mad (in more senses than one!) women, they’re bitterly fighting among themselves, and with the men that claim to be ‘women’. If a writer in another century made the story up, he would have been dismissed as syphilitic. Truly, there are no words to describe the evil that permeates the world today. A whole new language would have to be invented to try to explain it. All we do know is the principalities and powers of darkness have overtaken the minds, hearts and souls of so many that Christ’s question of how many with true faith and obedience to Him will He find when He returns is made more manifest than ever. Let us pray that we persevere to the end and thank God daily for the graces He provides to us so that we may do so. I am nothing without God. I agree with you that this kind of wickedness is something I did not see before in my lifetime. I do believe we are living in those times Our Lady of La Salette spoke of. I expect serious events to develop in the years to come. And I am not talking decades… like they say in the Virginia tobacco farms: we’re in short rows now.